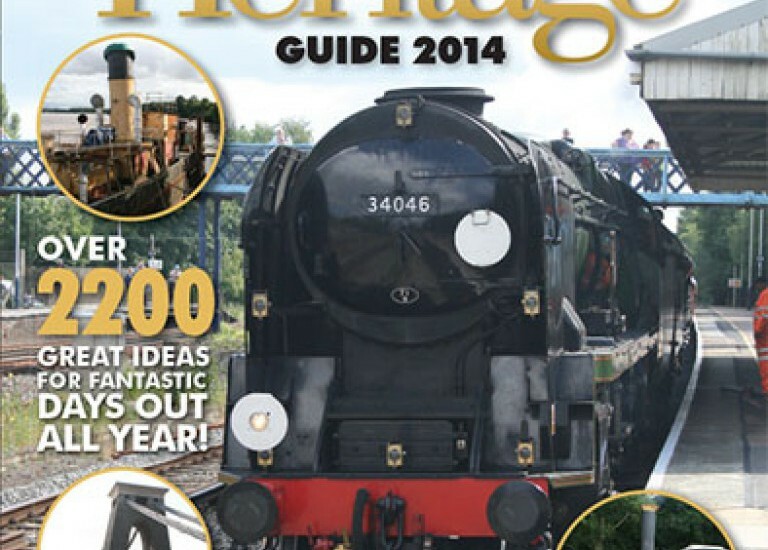 2014 Steam Heritage Guide - biggest ever! 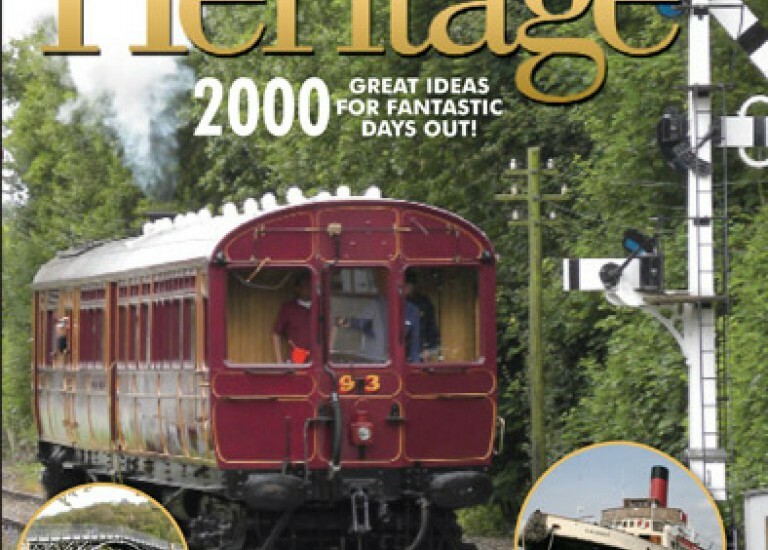 The 2013 Steam Heritage Guide is due to be published on 21st March. 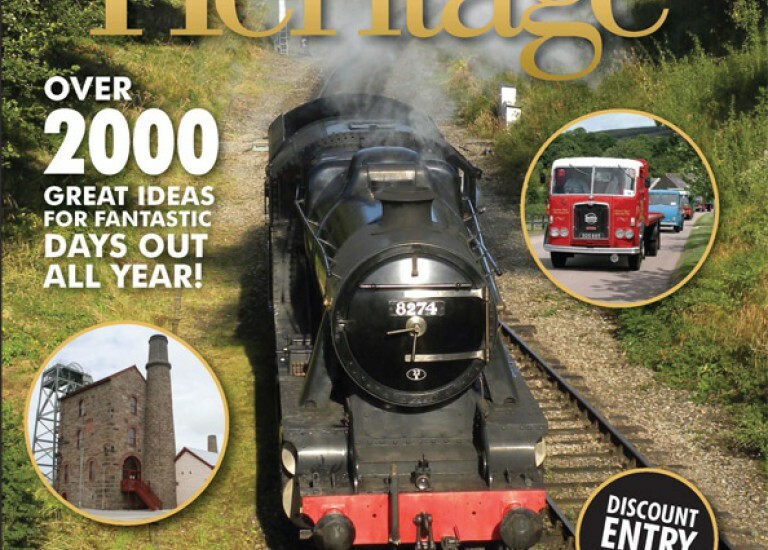 2012 Steam Heritage Guide published! 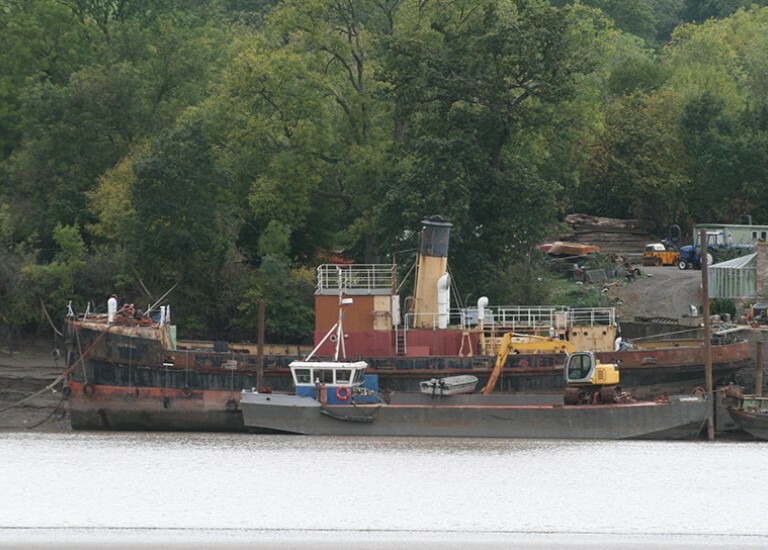 The largest ever research project into the condition of England’s industrial heritage was recently published by English Heritage together with its annual Heritage at Risk Register. 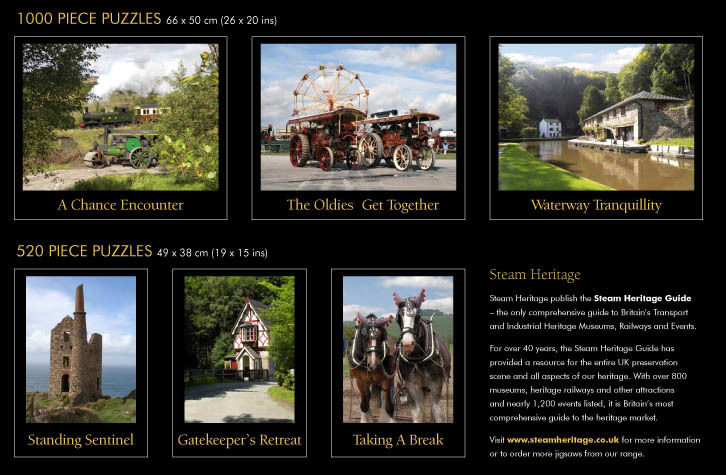 Exclusive new jigsaw range launched! 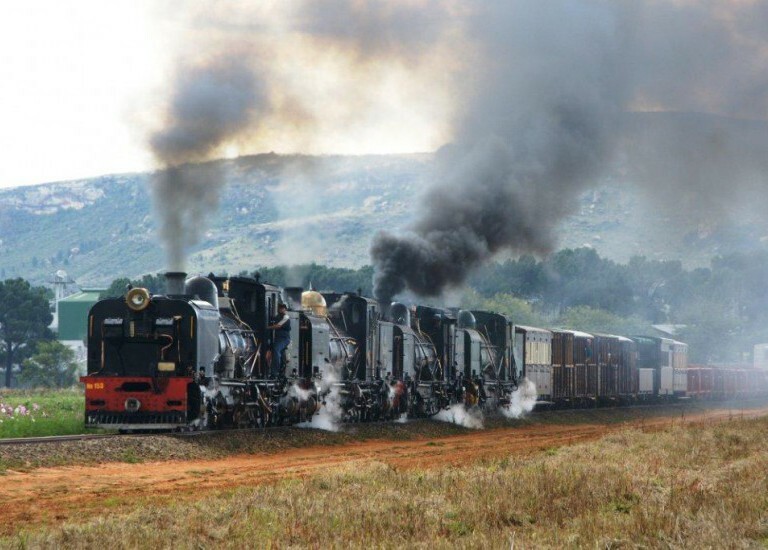 On Sunday afternoon, 10th April 2011, four 2-ft Narrow Gauge Garratt locomotives representing the products of four separate manufacturers were steamed together hauling a 35 truck freight train on the private 2-ft Narrow Gauge railway at Sandstone Estates, an agricultural enterprise close to the Lesotho border. 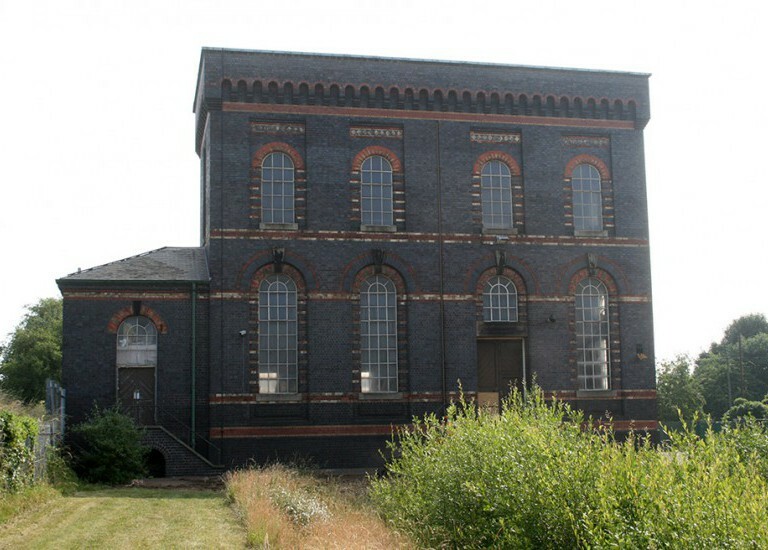 Leicester's Abbey Pumping Station now has all four beam engines in steamable condition. Put the date in your diary now for the 2011 Midlands Model Engineering Exhibtion to be held at the Warwickshire Exhibition Centre, near Leamington Spa (junction of A425 & B4455).